Will the SanDisk FlashBack adapter make losing data a thing of the past? 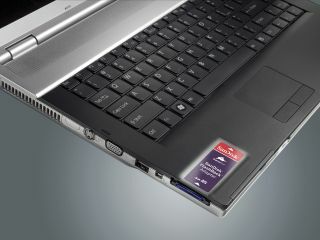 SanDisk has announced a new product that should save laptop users from losing their data if things go wrong. The SanDisk FlashBack adapter, in conjunction with SD memory cards, allows you to back-up and encrypt data automatically and continuously to lessen the impacts of accidents and crashes. The product fits into a laptop's ExpressCard slot. Senior product marketing manager Matthijs Hutten believes that the Flashback Adapter, priced at around £20, provides a ‘set it up and forget it’ solution. “We all know that we should frequently make backups of our critical files. But most of us don’t get around to it because it seems like too much of an effort, or we simply forget to do it," said Hutten at the product’s CeBIT launch. SanDisk also announced a collaboration with Motion Computing that will see the company’s solid state drives (SSDs) used in the F5 mobile slate tablet PC. “We have selected SanDisk SSD in our new F5 because we believe it gives our users the most robust and reliable solid state solution available in the market today for mobile Tablet PCs,” said Michael Johnson, executive vice president of engineering at Motion Computing.